Spun Lace sheet mask infused with super hydrating Hyaluronic Acid , Collagen and Pomegranate for bright flawless skin that needs no filter. 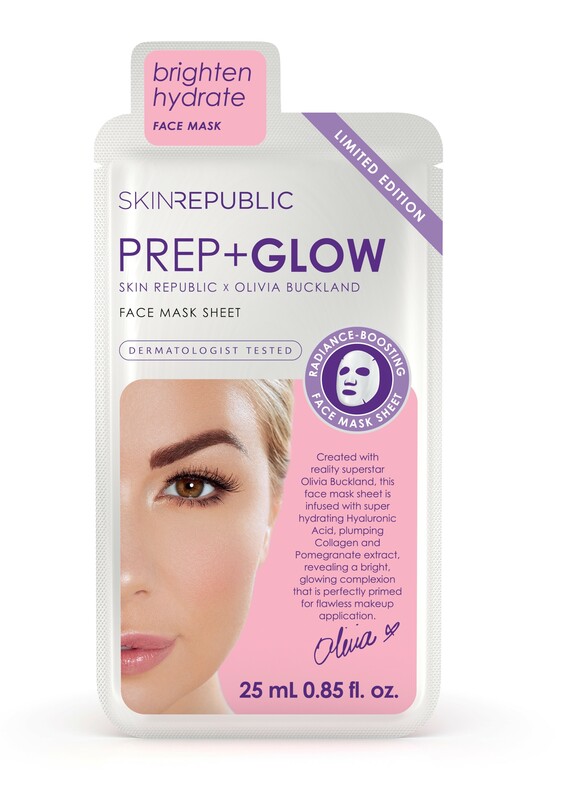 Created with reality superstar Olivia Buckland, this face mask sheet is infused with super hydrating hyaluronic acid, plumping collagen and pomegranate extract, revealing a bright, glowing complexion that is perfectly primed for flawlesss makeup application. High in antioxidant properties with additional skin care benefits ranging from from UVA and UVB induced damage control, skin regeneration, hyper pigmentation control, and collagen production. Pomegranate is a rich source of conjugated fatty acids and polyphenol, that lend the fruit potent antioxidant, anti-inflammatory and free radical scavenging abilities – higher than that of Green Tea and red wine.